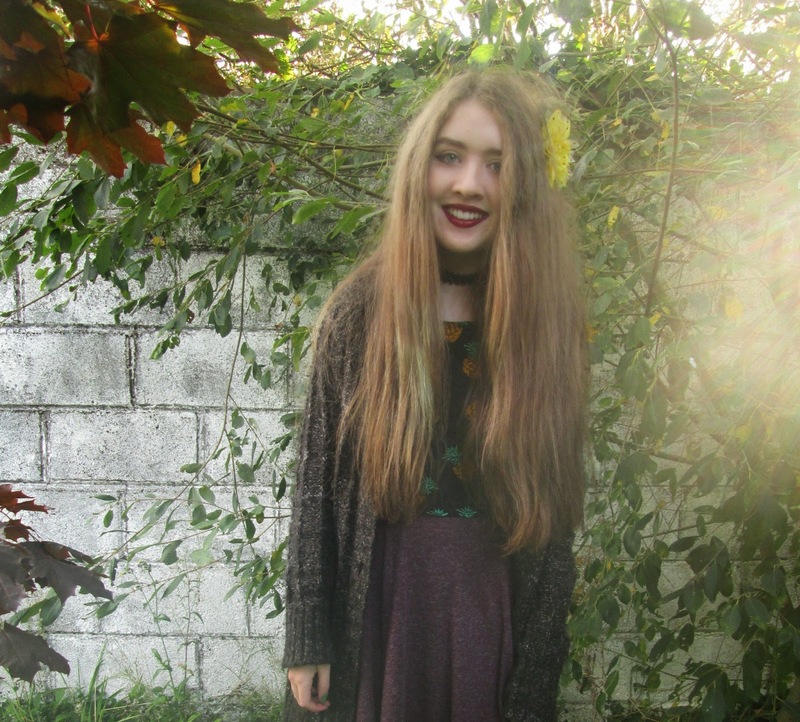 New Look crop top | Topshop skirt | Tesco boots | Choker and cardigan are both my mam's ! Last night my friends and I went out to the Chinese restaurant for our friend's birthday (happy birthday if you read this idk if you do !) and there were around ten of us meaning that our table caused a whole lot of noise and had to yell at each other to be quiet when ordering. We're nice, pleasant people, I swear. Before we left, One of the waitresses took a group photo of us all at the table and we were photobombed ! The photo was on Aveen's camera and the photobomber said she could put it on her blog (I told you we were nice people.) so that will probably be up in the next few days. If you haven't noticed already from the photos above, let me tell you that the ends of my hair are now copper (hence the title of this post wow I am creative.) and this is because Crazy Colour in 'Hot Purple' is abnormal and turns to blue and then to green and once it turns to green it no longer washes out and shows up over the bleach so you're left with the decision of whether to get it cut out or dyed over. I've spent too long trying to grow my hair so here's hoping that this colour doesn't fade before the next time I visit the hairdresser's in like six months because if it does fade well *awkward dry laugh* we're going to have a few problems. 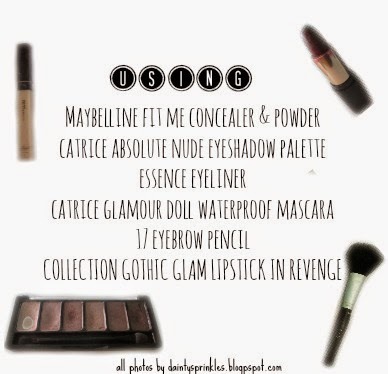 I really wanted to film a 'get ready with me' before I returned to school so here it is ! Unfortunately at the moment there are difficulties trying to get it up here on the blog as per usual but once I sort it out (this may take several days at which point this post will be irrelevant.) it will be below the photos but for now you can click here to watch it ! 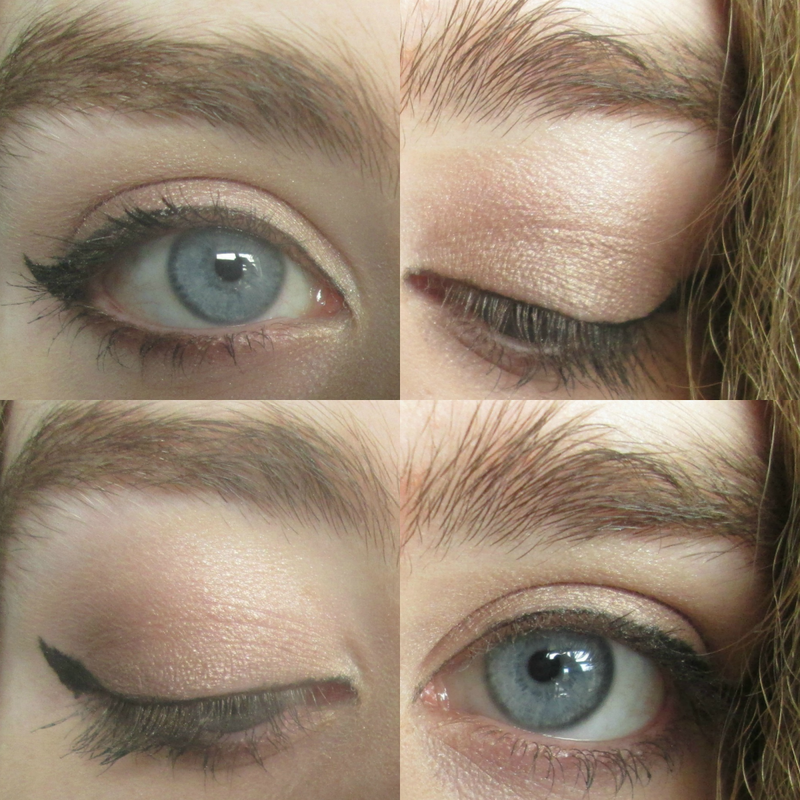 The eye makeup is quite bronze since all the shades I used are darker than my skin tone and then I'm also doing my winged eye liner in a different way where I've been finishing it lower just right above my lower lash line although it does end up looking quite heavy which I personally like. I feel like there's loads of autumn vibes of this post which makes me happy because I cannot wait for autumn and all the posts I've be planning ! #TeenBlogSeries begins tomorrow at 6.30pm so be sure to check out our first posts when you're online. One last piece of blogging related news, I'm currently on 75 votes in the Best Blog Post category of the Blog Awards Ireland ! I am so ecstatic and again can't find the words to thank everyone who's voted or shared the link for me enough ! You can still vote once a week until 18th September here. I'm entering the last week of my holidays so get ready for an exciting week of posts ! Great outfit and loving the winged eyeliner.